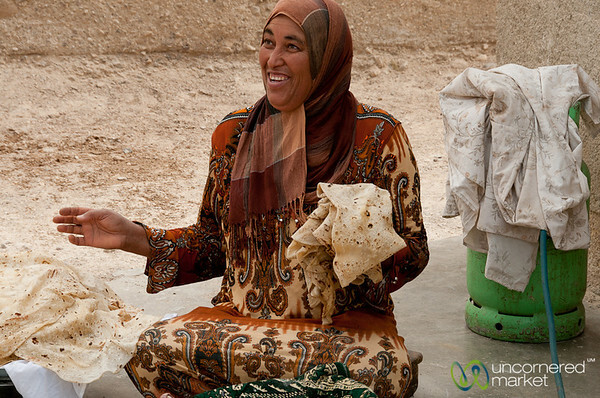 Jordanian women and the women of the Zikra Initiative program in Ghor al Mazra'a, Jordan. 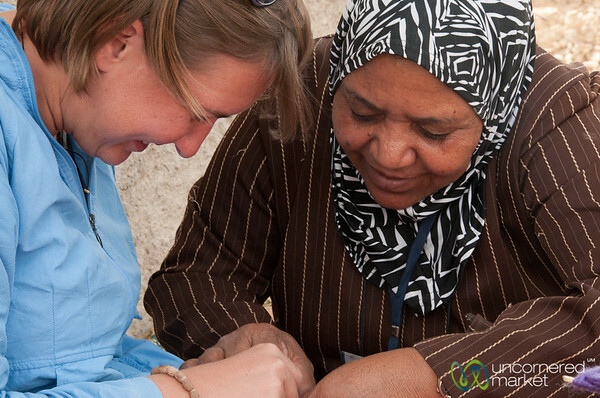 Read more on the Zikra Initiative in Jordan. One of our gracious hosts and teachers in the Ghor al Mazra'a community near the Dead Sea as part of a Zikra Initiative project in Jordan. 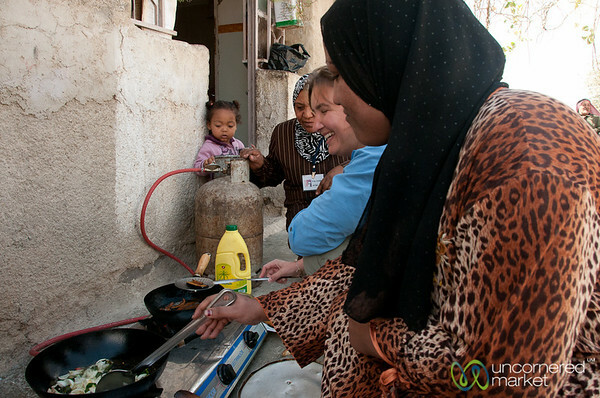 Um Atallah shows us how her community makes kohol (traditional eyeliner) by burning a piece of cotton in olive oil and then letting it burn with a tin pan on top. The black smoke and ash collects on the pan at the top and this creates charcoal used for eyes. Really ingenious. Part of a Zikra Initiative visit in Ghor al Mazra'a in Jordan. 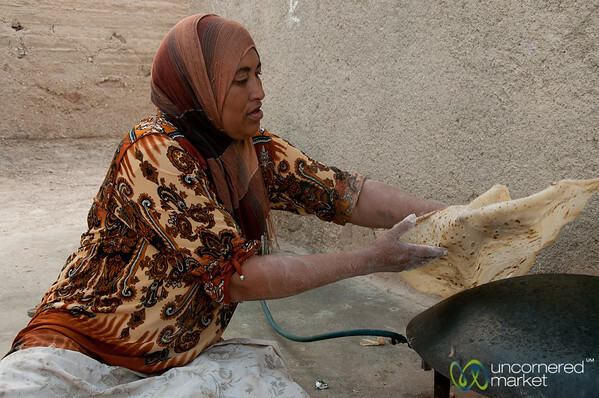 Our host turns and flips over the shrak (traditional flat bread) on an inverted circular pan. 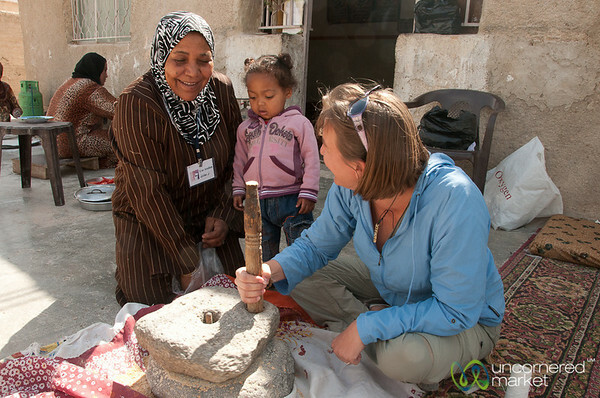 Taken as part of a Zikra Initiative visit at the community of Ghor al Mazra'a near the Dead Sea in Jordan. 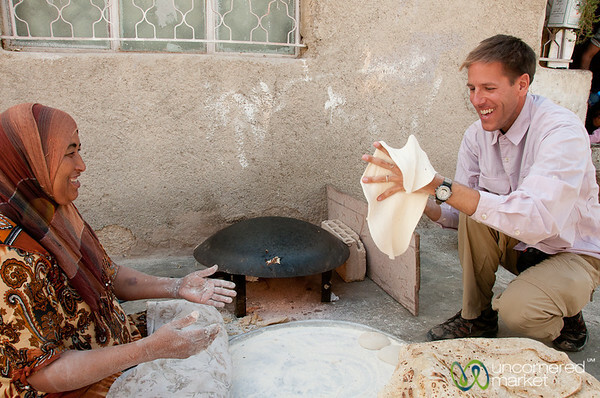 Um Asad gets a good laugh from watching us try to work the dough for shrak (traditional flat bread). Taken as part of a Zikra Initiative visit to the community of Ghor al Mazra'a near the Dead Sea, Jordan. Notice the traditional Arabic coffee pot at the top of the entranceway, a sign of hospitality and that guests should feel welcome. 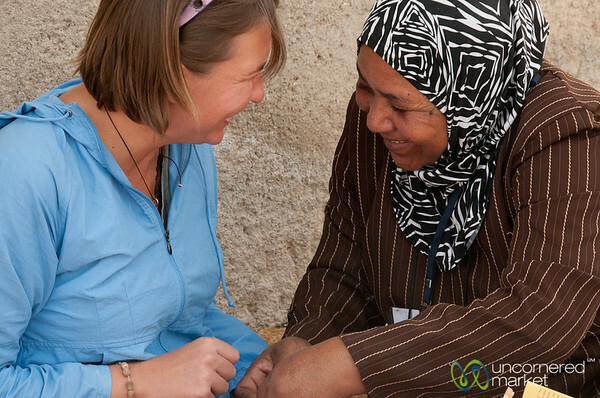 Taken at Ghor al Mazra'a community with Zikra Initiative in Jordan. Audrey has the responsibility for frying eggplant while the woman next to her makes a delicious meal of onions, garlic, chili peppers and fresh tomatoes (called Gallayet Bandora). This is a heavy agricultural area so most regular meals are vegetarian in nature. Taken as part of a Zikra Initiative visit in the community of Ghor al Mazra'a near the Dead Sea in Jordan. Dan takes his turn in working and throwing the shrak (flat bread) dough so that it becomes thin enough to cook quickly on the hot, inverted pan. Still needs a few lessons... Taken as part of a Zikra Initiative in the community of Ghor al Mazra'a by the Dead Sea in Jordan. 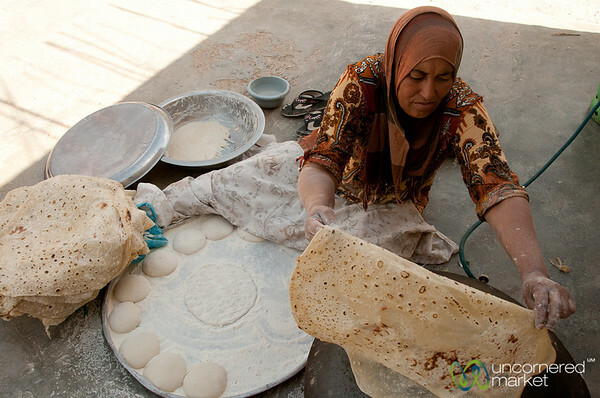 The whole process of making shrak (traditional flat bread), from working the dough (wheat flour, water and salt) to working the dough into a thin layer to throwing it on an inverted circular pan. Really delicious stuff - my favorite bread in Jordan. Taken as part of a Zikra Initiative visit in the community of Ghor al Mazra'a near the Dead Sea in Jordan. Audrey attempts to tie the tassels on the hattah, the traditional red and white men's headwear, but keeps getting confused with which ropes and which knots to put where. Taken as part of a Zikra Initiative visit to the community of Ghor al Mazra'a near the Dead Sea in Jordan. 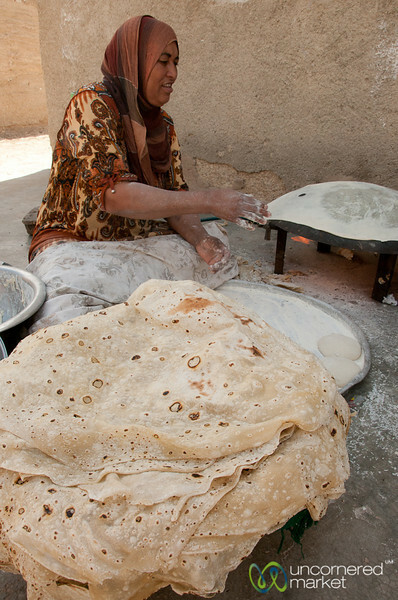 The al raha is a traditional wheat grinder made from two circular rocks, the bottom is fixed, while the top one is loose and is spun around with the wooden handle to grind the wheat. Quite a lot of hard work after a while...my arms got a bit sore. Taken as part of a visit with Zikra Initiative to the community of Ghor Al Mazra'a near the Dead Sea in Jordan. 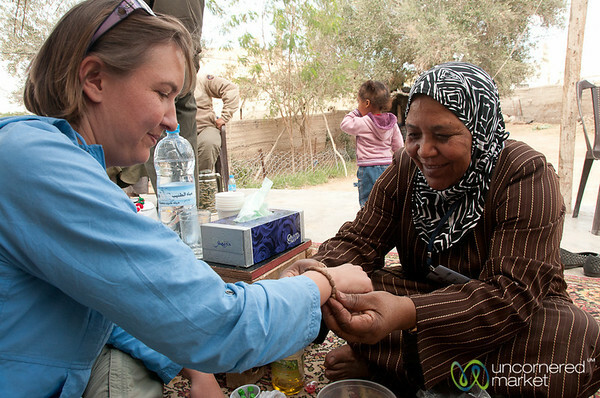 After learning how to grind down the ends of the olive seeds to get to the soft part where a needle and thread can go through, Audrey receives the fruits of her labor in an olive seed bracelet from Um Atallah. Taken as part of a Zikra Initiative visiti in Ghor al Mazra'a, Jordan. Getting a lesson on how to make olive seed bracelets from Um Atallah. 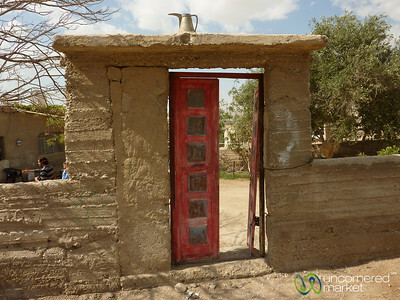 Taken in Ghor al Mazra'a with a Zikra Initiative project, Jordan. Take a look at that pile of perfect shrak (traditional flat bread)! Um Asad says that she usually makes around 60-80 pieces each day. Impressive. Taken as part of a visit with Zikra Initiative in the community of Ghor al Mazra'a near the Dead Sea in Jordan. Learning how to tie knots for hatta tassels for traditional men's headwear in Jordan. 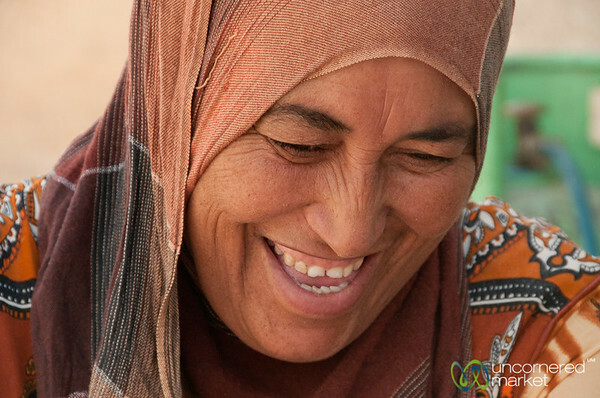 Taken as part of a Zikra Initiative project in Ghor al Mazra'a community near the Dead Sea in Jordan. 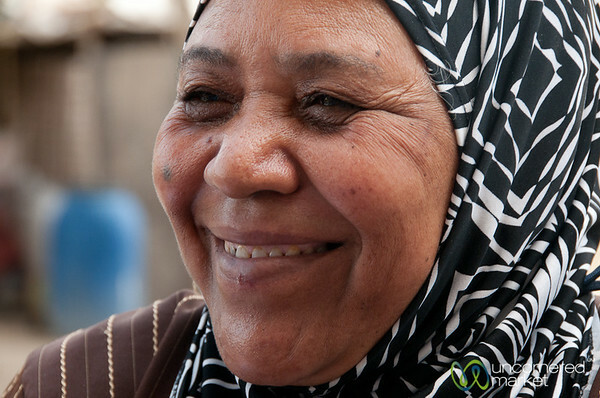 Um Atallah (literally "mother of Atallah" - it is common to call a woman as a mother of her firstborn son) is one of the women involved with Zikra Initiative in the community of Ghor al Mazra'a near the Dead Sea, Jordan. 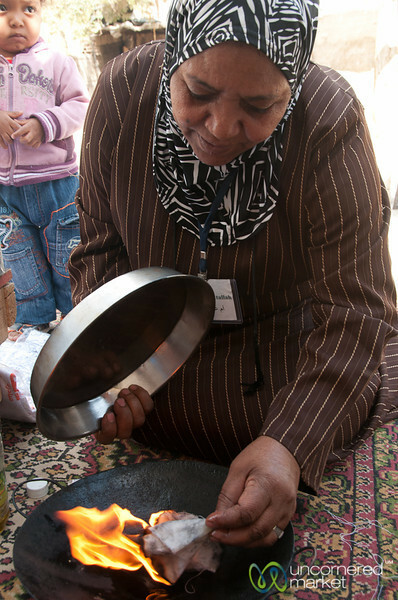 This woman tried to teach u how to make shrak, the traditional Jordanian flat bread, in the community of Ghor Al Mazra'a near the Dead Sea in Jordan. 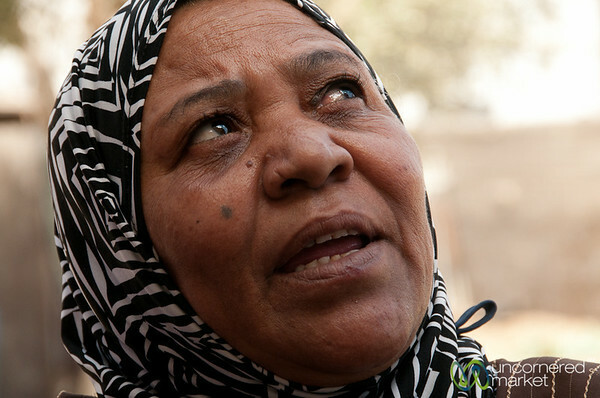 Taken as part of a Zikra Initiative exchange. 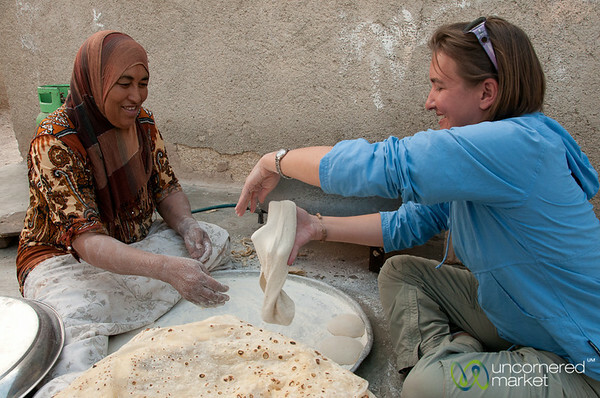 After getting a brief lesson on how to work the dough for shrak (traditional flat bread), Audrey tries on her own. As you see, she needs a helping hand to save the dough from disaster. Taken as part of a Zikra Initiative visit in the community of Ghor al Mazra'a near the Dead Sea, Jordan. 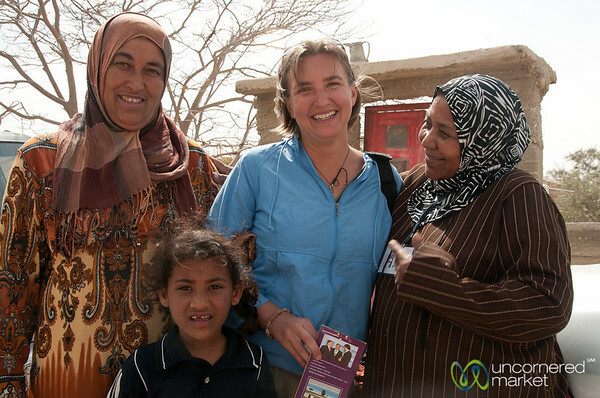 Before leaving from our exchange experience, Audrey poses with several of the women involved with the Zikra Initiative in the community of Ghor al Mazra'a in Jordan. 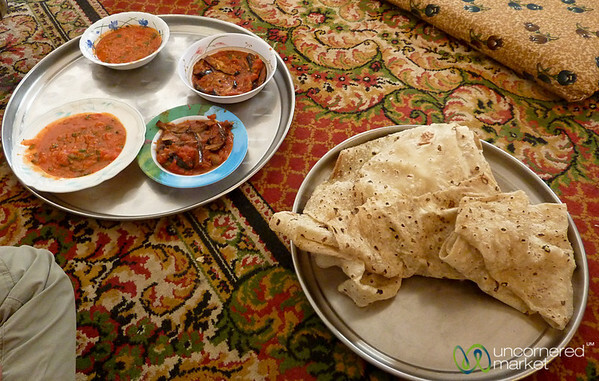 A delicious vegetarian lunch of gallayet bandora (fresh tomatoes cooked with onion, garlic greens, chili peppers) and another similar dish with eggplant all eaten with shrak (flat bread). Everyone comes together to eat and share. Really a nice way to end the visit with Zikra Initiative in the community of Ghor al Mazra'a near the Dead Sea in Jordan.